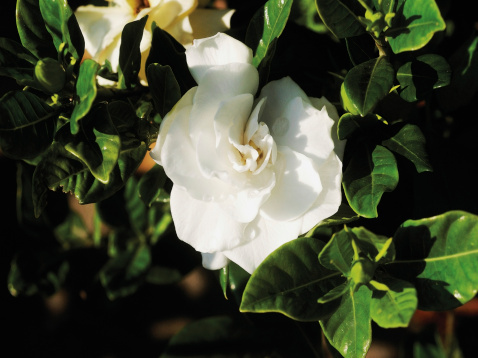 Like Southern magnolia trees, gardenia shrubs are symbols of Southern living. Standing up to 15 feet high, they have deep green, glossy oval leaves and waxy, creamy white or light yellow blooms. Their March-to-June flowers have a haunting perfume. Small gardenia cultivars are popular, high-maintenance indoor plants in colder climates. Gardenias are susceptible to sooty mold, a black plant fungus. Sooty mold occurs on gardenias infested with scale or other honeydew-secreting insects. It covers the sticky, honeydew covered leaves with black powder, blocking sunlight and interfering with photosynthesis. Black mold often attacks insect-infested gardenias. Mix 1 tbsp. of liquid dish detergent in 1 gallon of water. Add the detergent and water solution to your garden hose's spray attachment. Spray the gardenia's leaves, buds, flowers and branches thoroughly. Allow the solution to remain on the gardenia for 15 minutes. Remove it with a strong spray of clean water from the garden hose. Monitor the gardenia for several weeks. If the black mold returns, reapply the detergent-and-water solution in the same manner. 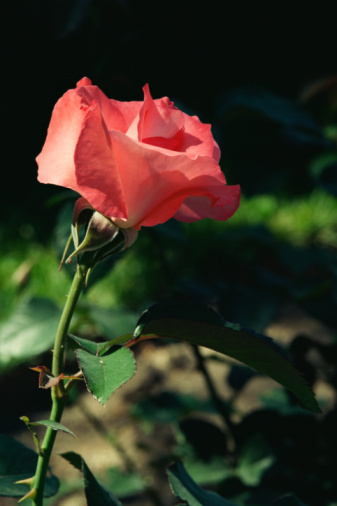 Observe your gardenia closely for the honeydew-secreting insects that encourage black mold development. Aphids, mealy bugs and scale insects are three common possibilities. Record the appearance of the insects you find. Contact your university or county extension, if necessary, to accurately identify the pests. Many universities have online pest identification guides. Follow your extension's recommendations for treating the insects responsible for your gardenia mold infestation. Horticultural oils, insecticidal soaps or neem oil are common treatments, but their use varies from pest to pest. Repeat the applications as necessary. Eradicating the insects will eliminate the mold. Why Is My Rosemary Plant Turning Black?